Kat Greene lives in New York City and attends fifth grade in the very progressive Village Humanity School. At the moment she has three major problems—dealing with her boy-crazy best friend, partnering with the overzealous Sam in the class production of Harriet the Spy, and coping with her mother's preoccupation with cleanliness, a symptom of her worsening obsessive-compulsive disorder. With nowhere to turn, Kat reaches out to the free-spirited psychologist, Olympia, at her new-age private school in New York’s Greenwich Village. Olympia encourages Kat to be honest. Eventually, Kat realizes that sometimes asking for help is the best way to clean up life’s messes. 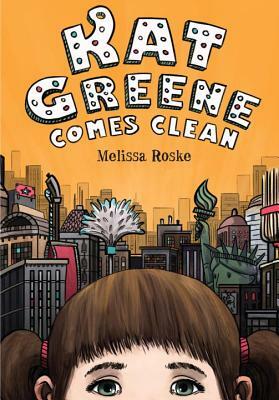 “Melissa Roske gives us an easy-to-love protagonist in Kat Greene. She's smart, authentic, and very relatable. Kat navigates her struggles in realistic ways and never loses heart. Teachers will want this one on their shelves." –Patricia Bailey, author of The Tragically True Adventures of Kit Donovan.